Environmental noise is a significant risk factor for a range of short- and long-term adverse health outcomes such as annoyance, cognitive development impairment, sleep disturbance, cardiovascular effects, and psychiatric problems. The aim of this study was to gather standardized quality of life (QOL) data hitherto rarely correlated with noise annoyance by source category. To provide an evidence-base for environmental noise policy development, a representative state-based survey was undertaken in South Australia (SA). A total of 3015 face-to-face interviews were conducted, using a questionnaire addressing noise sources, distances to busy roads and standardized measures of perceived annoyance and QOL. Population weighted descriptive survey and regression analysis. The most common sources of noise annoyances were road transport (27.7%, using a Likert scale, aggregating "little" to "extreme" annoyance), neighbors (22.0%), construction noise (10.0%), air conditioner noise (5.8%), rail transport noise (4.7%), and industry (3.9%). Using the QOL instrument, all eight health dimensions were significantly decreased for those reporting high noise annoyance ("very much" to "extreme") in relation to road transport and neighbors compared to those reporting low annoyance ("none" to "moderate") from these sources. Noise annoyance is common in the SA general population, and the evidence for a strong association with QOL reinforces the need for environmental noise management at a population basis. 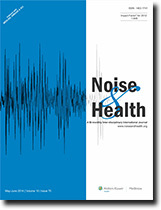 This study investigated the accuracy, reliability, and characteristics of three brands of personal noise dosimeters (N = 7 units) in both pink noise (PN) environments and natural environments (NEs) through the acquisition of decibel readings, Leq readings and noise doses. Acquisition periods included repeated PN conditions, choir room rehearsals and participant (N = 3) Leq and noise dosages procured during a day in the life of a music student. Among primary results: (a) All dosimeters exhibited very strong positive correlations for PN measurements across all instruments; (b) all dosimeters were within the recommended American National Standard Institute (ANSI) SI.25-1991 standard of ±2 dB (A) of a reference measurement; and (c) all dosimeters were within the recommended ANSI SI.25-1991 standard of ±2 dB (A) when compared with each other. Results were discussed in terms of using personal noise dosimeters within hearing conservation and research contexts and recommendations for future research. Personal noise dosimeters were studied within the contexts of PN environments and NEs (choral classroom and the day in the life of collegiate music students). This quantitative study was a non-experimental correlation design. 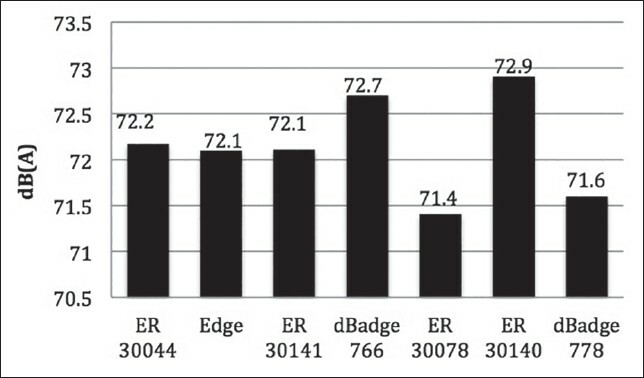 Three brands of personal noise dosimeters (Cirrus doseBadge, Quest Edge Eg5 and Etymotic ER200D) were tested in two environments, a PN setting and a natural setting. There were two conditions within each environment. In the PN environment condition one, each dosimeter was tested individually in comparison with two reference measuring devices (Ivie and Easera) while PN was generated by a Whites Instrument PN Tube. In condition two, the PN procedures were replicated for longer periods while all dosimeters measured the sound levels simultaneously. In the NE condition one, all dosimeters were placed side by side on a music stand and recorded sound levels of choir rehearsals over a 7-h rehearsal period. In NE, condition two noise levels were measured during a day in the life of college music students. Three participants each wore two types of dosimeters for an 8-h period during a normal school day. Descriptive statistical analyzes including means, standard deviation and Pearson product-moment correlation. The primary finding is that the dosimeters in this study recorded results within ±2 dB of either a reference measurement or within dosimeters in all four conditions examined. All dosimeters studied measured steady noise source accurately and consistently, with strong positive correlations across all instruments. Measurements acquired during choral rehearsals indicated a maximum of 1.5 dB difference across dosimeters. The Etymotic research personal noise dosimeters (ER200D) could provide individuals and schools of music with a relatively inexpensive tool to monitor sound doses. Findings from this study suggest that the three brands of dosimeters tested will provide reliable Leq levels and hearing dosages in both PN and natural settings. The aim of the following study is to evaluate immediate protective effect of ear plug from noise morphologically and functionally. An 1-month aged 29 male C57BL/6 mice. Subjects were divided into four groups as normal control(G1), bilaterally plugged group (G2), unilaterally plugged group (G3) and noise control group (G4) and later 3 groups were exposed to 110 sound pressure level white noise for 60 min. Immediately after noise exposure, audiologic tests were performed and cochlear morphology and expression levels of a-synuclein in the cochlea were investigated. There were no functional changes in G2 and plugged ears of G3 after noise exposure, whereas unplugged ears of G3 and G4 showed significant hearing loss. In morphological study, there were a significant degeneration of the organ of Corti and mean number and diameter of efferent buttons, in unplugged ears of G3 and G4. Plugged ears of G3 also showed mild changes in morphological study. Reduction of a-synuclein was observed at the efferent terminals or cochlear extracts after noise exposure. 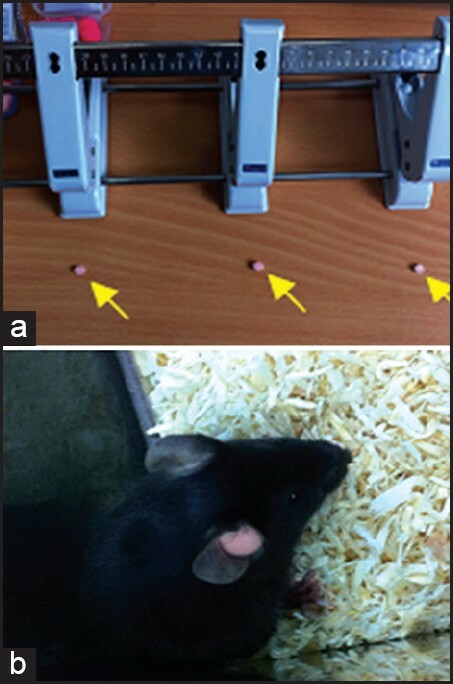 The protective effect of ear plug on noise exposure was proven morphologically and functionally in the animal model of noise-induced hearing loss. Further study on cellular or ultrastructural level with ear plug will be needed to reveal more precise mechanism. Noise pollution is one of the four major pollutions in the world. Little evidence exists about the actual preventive benefits of psychological noise attenuation by urban green spaces, especially from the perspective of environmental medicine and, to the best of our knowledge, there is not a systematic analysis on this topic. The aim of this review was to systematically evaluate whether there is conclusive scientific evidence for the effectiveness of urban green spaces as a psychological buffer for the negative impact of noise pollution on human health and to promote an evidence-based approach toward this still growing environmental hazard. MEDLINE and EMBASE databases were searched for experimental and epidemiological studies published before June 04, 2013 in English and Spanish. Data was independently extracted in two step process by the authors. Due to the heterogeneity of the included studies qualitative assessment was performed. We found moderate evidence that the presence of vegetation can generally reduce the negative perception of noise (supported with an electroencephalogram test in one of the experimental studies; consistent with the data from two epidemiological studies; one experiment found no effect and one was inconclusive about the positive effect). This review fills a gap in the literature and could help researchers further clarify the proper implementation of urban green spaces as a psychological buffer in areas with population exposed to chronic noise pollution. Noise stress (NS) is detrimental to many aspects of human health and behavior. Understanding the effect of noise stressors on human cognitive function is a growing area of research and is crucial to helping clinical populations, such as those with schizophrenia, which are particularly sensitive to stressors. A review of electronic databases for studies assessing the effect of acute NS on cognitive functions in healthy adults revealed 31 relevant studies. The review revealed (1) NS exerts a clear negative effect on attention, working memory and episodic recall, and (2) personality characteristics, in particular neuroticism, and sleep influence the impact of noise stressors on performance in interaction with task complexity. Previous findings of consistent impairment in NS-relevant cognitive domains, heightened sensitivity to stressors, elevated neuroticism and sleep disturbances in schizophrenia, taken together with the findings of this review, highlight the need for empirical studies to elucidate whether NS, a common aspect of urban environments, exacerbates cognitive deficits and other symptoms in schizophrenia and related clinical populations. Subway transportation system is a new phenomenon in Iran. Noise annoyance interferes with the individual's task performance, and the required alertness in the driving of subway trains. This is the first study conducted to measure the level of noise and noise annoyance among conductors of subway organization in Tehran, Iran. This cross sectional study was conducted among 167 randomly selected train conductors. 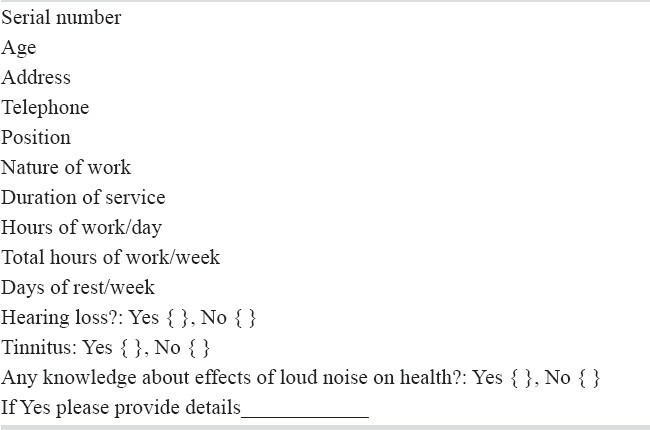 Information related to noise annoyance was collected by using a self-administered questionnaire. The dosimetry and sound metering was done for the conductors and inside the cabins. There were 41 sound metering measuring samples inside the conductors' cabin, and there were 12 samples of conductors' noise exposure. The results of sound level meter showed that the mean Leq was 73.0 dBA ± 8.7 dBA and the dosimetry mean measured Leq was 82.1 dBA ± 6.8 dBA. 80% of conductors were very annoyed/annoyed by noise in their work place. 53.9% of conductors reported that noise affected their work performance and 63.5% reported that noise causes that they lose their concentration. The noise related to movement of train wheels on rail was reported as the worst by 83.2% followed by the noise of brakes (74.3%) and the ventilation noise (71.9%). 56.9% of conductors reported that they are suffering from sleeplessness, 40.1% from tinnitus and 80.2% feeling fatigue and sleepy. The study results showed the high level of noise and noise annoyance among train conductors and the poor health outcome of their exposure to this level of noise. Noise induced hearing loss (NIHL) is an irreversible sensorineural hearing loss associated with exposure to high levels of excessive noise. Prevention measures are not well established in developing countries. This comparative cross sectional study aims to determine the prevalence of hearing loss in both a group of high risk workers and a control group and to assess their knowledge of the effects of noise on hearing health. A total of 101 market mill workers and 103 controls employed within markets in the city of Accra, Ghana, were evaluated using a structured questionnaire and pure tone audiometry. The questionnaire assessed factors including self-reported hearing loss, tinnitus, knowledge on the effects of noise on hearing health and the use of hearing protective devices. Pure tone audiometric testing was conducted for both mill workers and controls. Noise levels at the work premises of the mill workers and controls were measured. Symptoms of hearing loss were reported by 24 (23.76%) and 8 (7.7%) mill workers and controls respectively. Fifty-five (54.5%) and fifty-four (52.37%) mill workers and controls exhibited knowledge of the effects of noise on hearing health. Five (5.0%) mill workers used hearing protective devices. There was significant sensorineural hearing loss and the presence of a 4 kHz audiometric notch among mill workers when compared with controls for the mean thresholds of 2 kHz, 3 kHz and 4 kHz (P = 0. 001). The prevalence of hearing loss in the better hearing ears of the mill workers and controls was 24.8% and 4.8% respectively (P < 0.5). The prevalence of hearing loss, which may be characteristic of NIHL in the better hearing ears of the mill workers and controls was 24.8% and 4.8% respectively. The majority of mill workers did not use hearing protection. Orchestral musicians are an at-risk population for noise-induced hearing loss. Following strategic approaches to mitigate exposure, many must use earplugs to safeguard their hearing, although reported usage rates are poor. Australia has progressive hearing conservation programs within many of its orchestras, yet little is known of earplug usage rates, abilities with earplugs or self-perceived hearing loss in this population. To help direct and inform future approaches to hearing conservation in Australia's orchestras a questionnaire assessing hearing conservation behaviors and the prevalence of self-perceived hearing loss was distributed. A total of 580 musicians across eight professional orchestras were surveyed, with 367 completed surveys (63%) returned. Eighty percent of respondents reported a risk of hearing damage in the orchestra, 64% used earplugs of some type at least some of the time and 83% found this use difficult/impossible. Forty-three percent reported a hearing loss, including 54% in pit orchestras and 46% of those ≤50 years of age. Brass players were least likely to use earplugs, most likely to report usage difficulties and most likely of those ≤50 years of age to report a hearing loss. While earplug usage rates in Australia are encouraging and may be linked to hearing conservation measures in the orchestras, the widespread difficulty reported with the use of these earplugs, the prevalence of self-reported hearing loss and the continued vulnerability of those most at-risk indicate improvements in both earplug design and further education for musicians are required to progress hearing conservation options for this population.